On my homeworld in the game Mirai, I found an interesting find. 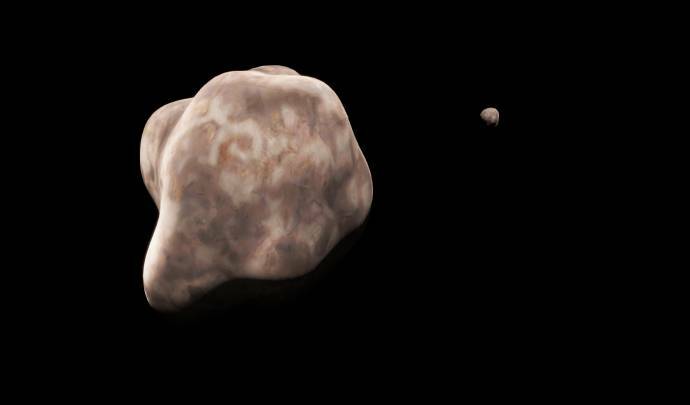 An asteroid moon and a mini moon share the same orbit and orbital period of 2h,18m,56s.08. Images are for proof. Can we have the location code for this anomaly? I feel like you should keep the trojan moons. just remove asteroids that orbit planets and call them mini moons as well! Its a phenomena to find this ONLY ONCE! Not to be the guy who spoils everything, but that isn't a trojan moon. EDIT: Scrap that thought, it is a trojan moon. Well, when it comes to deciding what should or should not be in SpaceEngine, plausibility will always trump coolness. While there are such things as Trojan orbits, this is not an example of one and it would not be stable. It is therefore correct to fix/remove these. I'll add that there are cases where two moons can appear to be in the same orbit, but they are not exactly the same and the motions are much more complex. 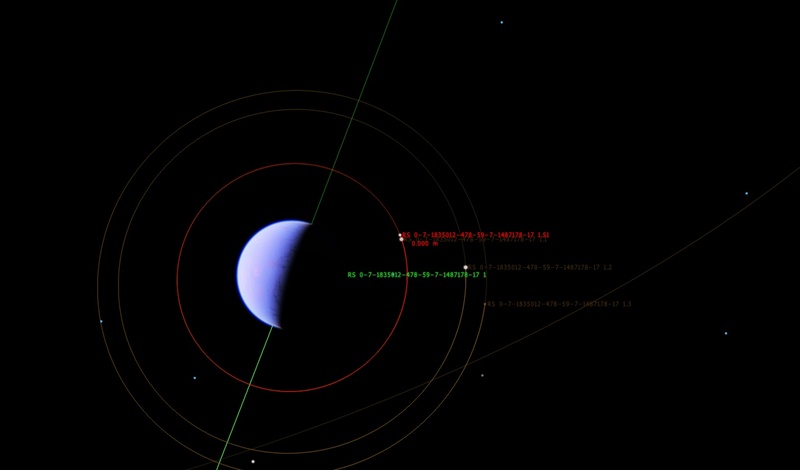 Such orbits are not yet simulated in SE. Are you sure it isn't a space station?